2. In the Publish wizard, go to the "Platforms" tab. In the search box, please search for "Yola". The "Yola" button will show up, please click it. 3. Click the green "Copy Code" button. 5. Paste the copied form into the HTML Editor text area. 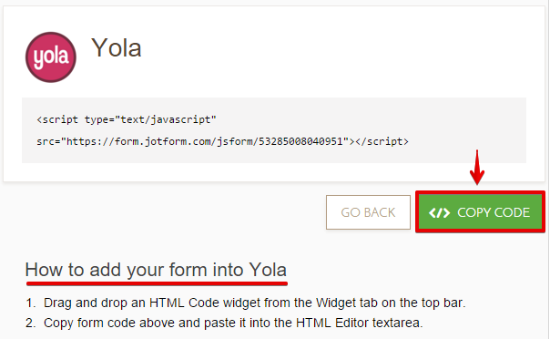 Is it possible to stretch the form to fill the page on my Yola website? ?